Burstall LLP is a boutique law firm with a client-focused approach to better serve your needs and the needs of your business. Our size and expertise allows us to respond to a variety of complex business problems with integrated legal solutions, without losing the human touch that has made our firm a success in Calgary for nearly 50 years. We take pride in delivering high-quality and cost-effective legal services, directed and managed by a principal lawyer who understands and appreciates your goals. This practical and personal approach maximizes our efficiency and minimizes your costs as we deliver tailored legal solutions. The size of our firm ensures lawyer accessibility and personal client contact. Relationships are the foundation of our business model and the cornerstone of providing high-quality legal advice and services. Our clients are at varying stages of development and from a variety of different backgrounds. By actively listening and engaging we are able to better understand their needs and aspirations. 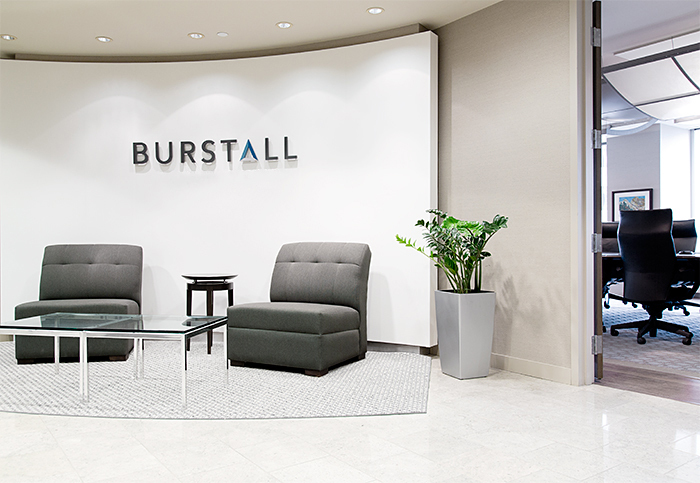 Whether you are seeking new capital to break into the marketplace, orchestrating a complex merger, or need advice on an exit strategy that will pave the way for your next business venture, Burstall LLP has the tools to help you along the way. The lawyers in our firm are of the highest caliber and we possess skills, training, and professional experience that distinguish us in our respective practice areas. We share an uncompromising dedication to professional excellence based on specialization, innovation, and practicality, and a commitment to exceptional client service that results in many long-term client relationships. Burstall LLP enjoys an excellent reputation in the legal and business communities, for its integrity and competence of service in all areas of its practice. Through active participation in community and charitable organizations, as well as contributions to professional and business associations, we ensure continuous contact with the constantly changing business environment in Calgary and beyond. We understand that clients require their lawyers not only to provide high quality advice and efficient service, but also to provide value added services. Our firm takes pride in delivering excellent legal services on a cost effective basis. All legal services are directed and managed by a principal lawyer knowledgeable in the client’s affairs. This practical and personal approach maximizes our efficiency and minimizes your costs as we deliver integrated legal solutions right for you and your business. In this way, we are able to maximize our experience and specialized knowledge to deliver creative legal solutions for our clients without “over-lawyering”. We believe our values reflect the entrepreneurial spirit and business efficacy of our clients.